As a professor of medieval literature, I often teach Chaucer’s Canterbury Tales with its inimitable characters—the pious, the bawdy, and the loathsome. Who doesn’t love the Wife of Bath?? 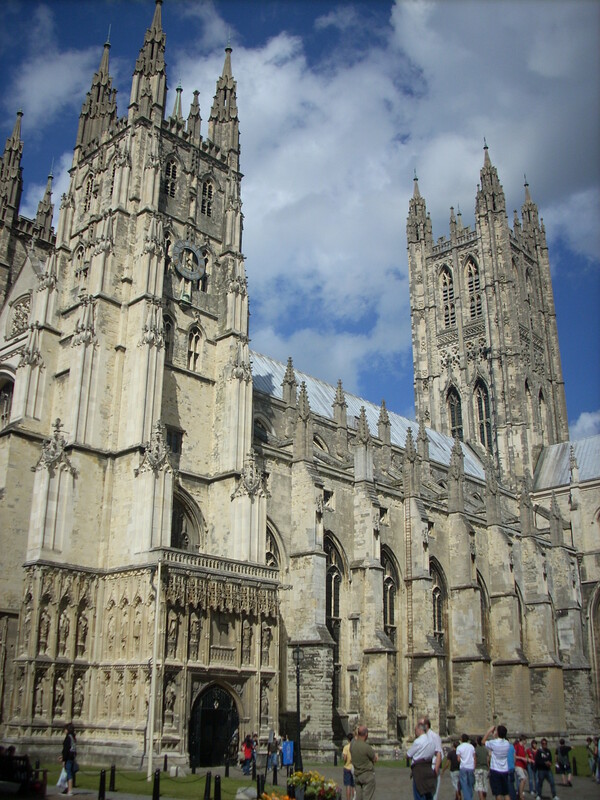 I decide to go to Canterbury on my way to Sandwich to see the justly famous Cathedral at Canterbury: beautiful, rich in history, and the putative destination in The Canterbury Tales. The opening 18 lines of the Canterbury Tales form one of the most amazing poetic sentences in English literature. Why is this tale of the Roman war so fascinating and compelling to us? Though this part of the story is of Arthur’s journey to Rome, the tale itself has traveled to the quiet, lamp-lit offices of scholars in Canada, England, Japan, and the far west coast of America: to my home in Portland, Oregon. As I near Canterbury, rolling hills mark the landscape as opposed to the flatter terrain I saw from the train approaching Winchester and York. Here, the Kent countryside is dotted with woodlands and beautifully large individual trees. 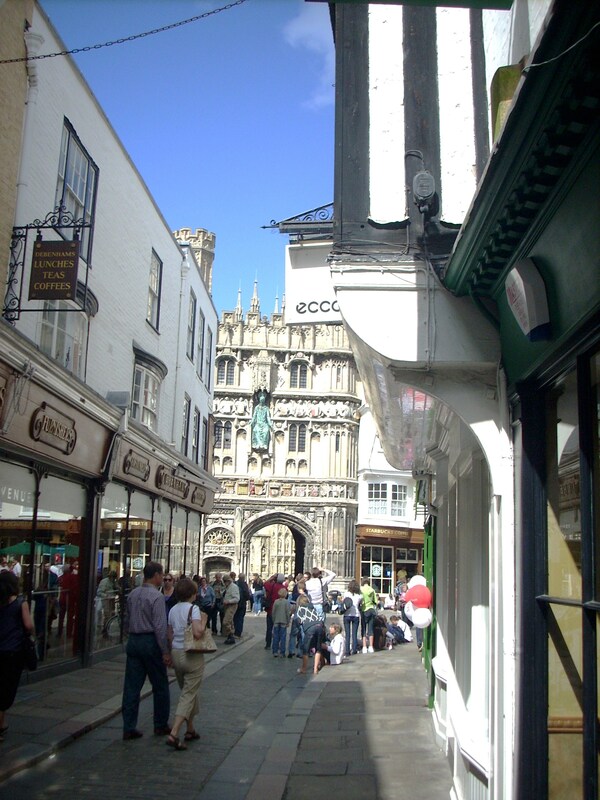 Canterbury, like almost all English cities with notable cathedrals or colleges, is packed with tourists and lively groups of Italian youngsters studying English for the summer. 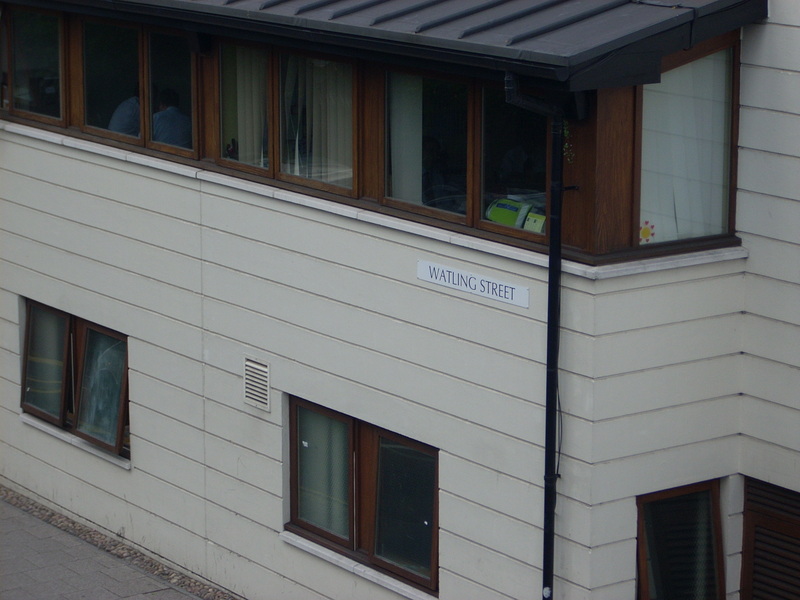 It makes for an intense crowd experience and shapes the lived landscape of these cities such that they feel almost indistinguishable on the streetscape level. 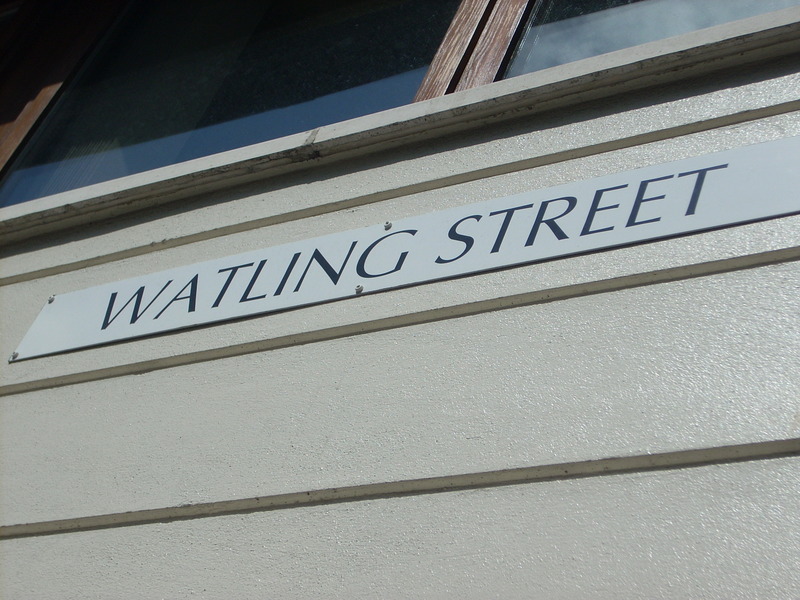 I spend several hours visiting the Cathedral and walking the town when, to my surprise, I come upon an inauspicious street sign on a nondescript building: Watling Street. Hey! 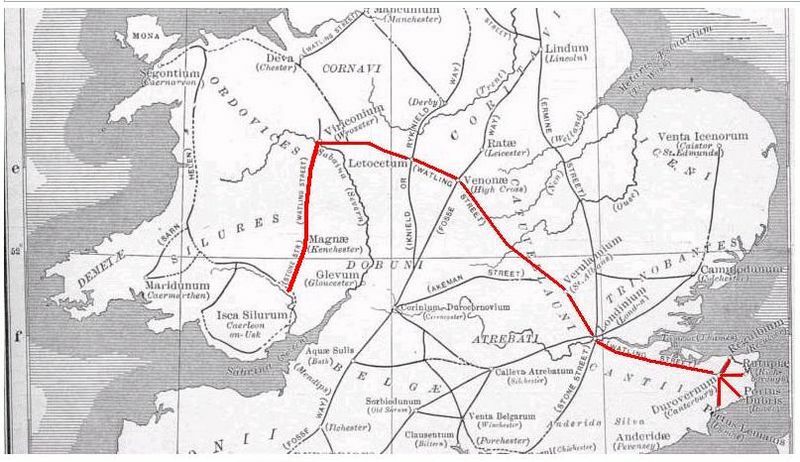 This Roman road, I come to find out, once stretched across the width of the island running East to West from Dover to London, and, not surprisingly, onto Caerleon, possible site of Arthur’s court (see earlier post). No wonder the ambassadors “were never so blithe,” breathing a sign of relief upon arriving at Sandwich–it is a formidable journey to make by horseback in 7 days. 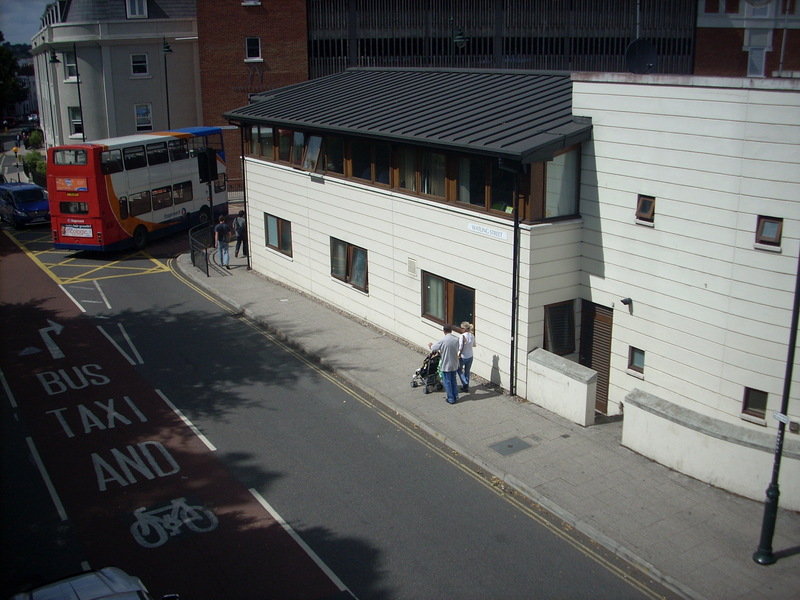 (The BBC did a series on the historical and contemporary Watling Street in 2007 and identified Watling Street as “the most important Roman Road which runs East to West across Great Britain.” It is clear to me now–from his mention of Carlyle and the Watline Road–that Malory envisioned the start of the Roman War campaign in Caerleon.